SAN JOSE — If there’s any fighter out there who truly treats his profession as a full-time job, it’s Gegard Mousasi. He’s only 33, but has already amassed 52 fights on his resume and has competed in just about every single major MMA promotion across the globe. He has held world titles in DREAM, Cage Warriors and Strikeforce and was right in the middleweight world title mix in the UFC, before deciding to head to Bellator last year. Two fights later, he captured Bellator gold by starching Rafael Carvaho in the first round at Bellator 200 in May. But like a true worker bee, the Dutchman didn’t do much to celebrate. Instead, he went right back to work and waited for the next opponent to step up. “When I won the middleweight title, it was fun for one week,” Mousasi told Sporting News. And that “fun” really only consisted of him cracking a smile and putting the belt in the closet alongside the other titles he has won over the years. Mousasi will once again put on his hard hat, pack his lunch and go to work, when he defends his belt against welterweight titlist Rory MacDonald in the main event of Bellator 206, live and exclusively on DAZN. Although Bellator has had some major fights in the 10-year history of the promotion, it can be argued that this fight is the biggest due to both the quality and name recognition of the combatants, who will be locked in the cage on Sept. 29. Mousasi isn’t one to get caught up in the enormity of the moment, but that doesn’t mean he is ignorant to the significance of what will take place. There are those who say they fight because they love it. Some will go as far as calling it “fun.” But don’t count Mousasi as one of those individuals who look forward to enjoying himself against MacDonald. Perhaps his blue-collar mentality is the reason why he has been so successful throughout his mixed martial arts career. He’s not one who sees any particular fight as the biggest of his career. Nor does he prepare any different from one fight to the next. He clocks in and clocks out. The opponent may have a particular style that he has to prepare for, but the names mean absolutely nothing to him. Should he come out victorious, there’s an argument that can be made for Mousasi as one of the top 10 pound-for-pound fighters in the world. However, when this is brought up to him, he predictably waved off the offer. 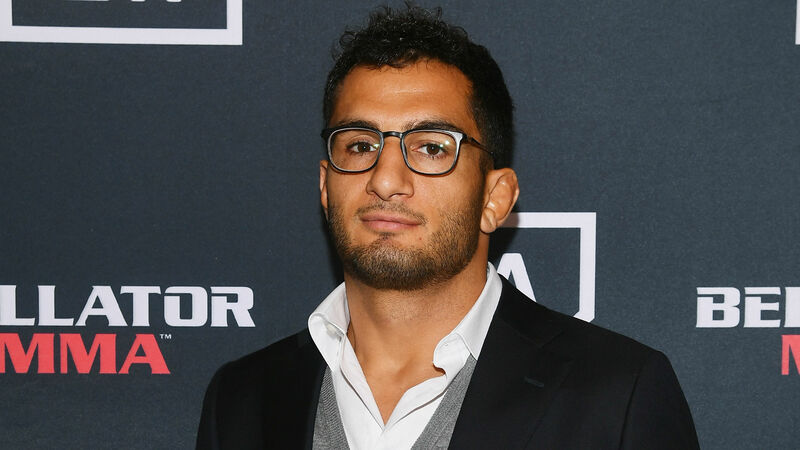 Approaching his 53rd professional fight — 74th if you include amateur fights and kickboxing — you get the sense that Mousasi is beginning to count down the days until he can hang up the gloves. The grind has clearly begun to take a toll on his body and an exit strategy is in preparation. With his sights set on MacDonald and then possible showdowns with top contender, Rafael Lovato Jr., the recently-signed Lyoto Machida (who owns a victory over him in 2014) and the frontrunner for the Heavyweight Grand Prix in Ryan Bader, Mousasi has his plans laid out. And, yes, one of those opponents is fighting in a weight class two divisions higher than him. But these are the fights that Mousasi wants and, if he continues being successful, the fights he’ll receive. It’s a surprising revelation, but par for the course with Mousasi. He does as he is contracted to do and does what is best for his future. And if that means jumping up two weight classes for a big fight or bidding the sport of MMA farewell, he’s fine with either scenario because a job ain’t nothing but work.